So why did I start this blog? Your pack is another of the “big three” weight reduction items . I was using a relatively new Gregory Z55 internal frame pack. 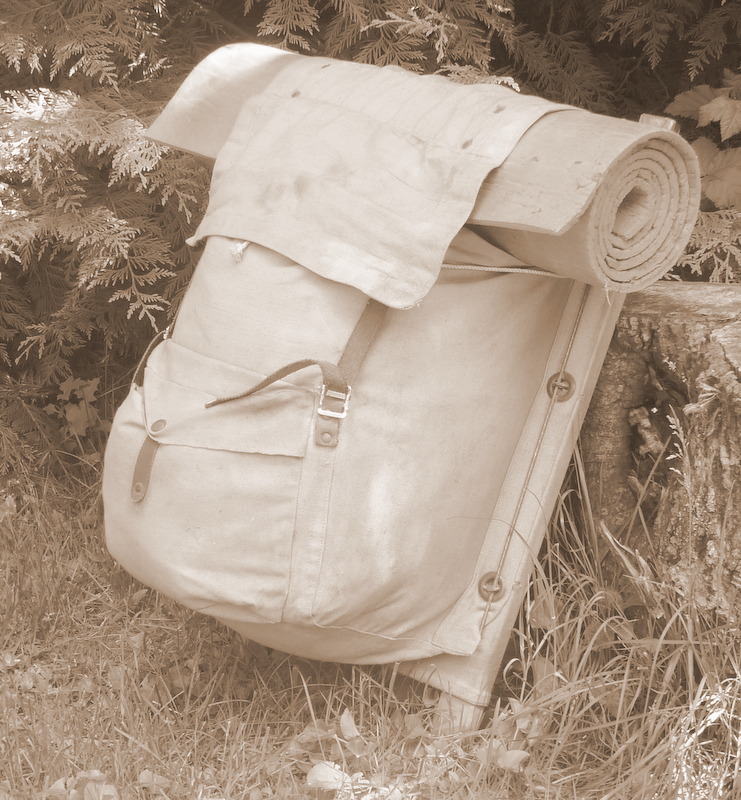 It had joined a collection of previously used packs including a framed hatch back pack, an older internal frame pack and even a woven cedar pack basket. 55 liters is a good volume for me and the Gregory pack weighed in at 3 lbs. 3 oz. I used it in Iceland with a 45 lb. trip starting weight. It worked well. In heavy rain, I did use a sil-nylon pack cover to keep things dryer. Options for pack choices open up when you seriously commit to shave load weight . With growing sewing skills, I elected to make a Ray Way 2,800 cu. in. pack kit. 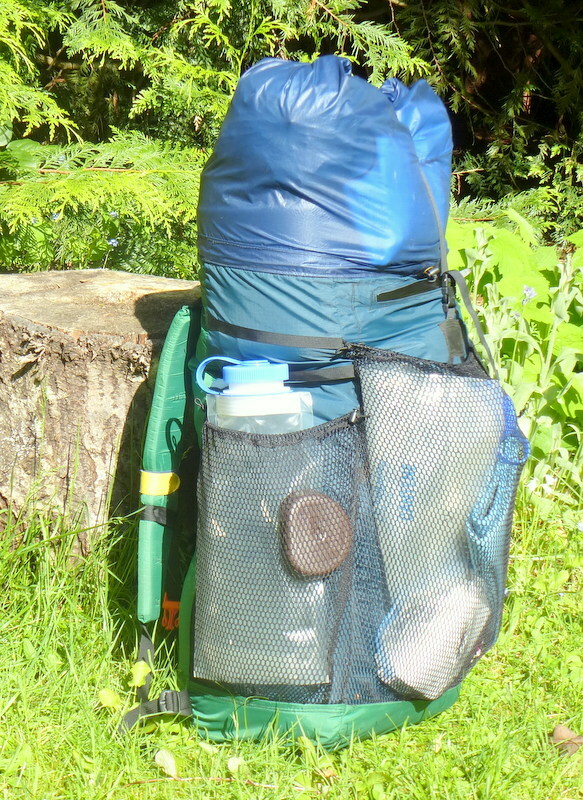 This pack has a 45 liter main bag volume, plus an extension collar that provides at least another 10 liters. In addition there are mesh pockets on the sides. It weighs, as finished, a shocking 12 oz. It has no waist band. Ray Jardine claims that a waist band limits your ability to rotate your hips as you walk. With lighter weights you really don’t need to support part of the pack weight on your hips. I was skeptical, but willing to give it a try. I finished the pack, loaded it with about 30 lbs. and walked around the neighborhood. Indeed I had a better stride and the pack carried pretty well. After two seasons of use, I am quite happy. The extension collar is needed to hold the gear I typically take, but so far everything fits. I can carry slightly over 30 lbs. in it with reasonable comfort. When my pack weight drops into the low 20’s, it is a delight. The pack has no internal frame, which is one reason it is so light. My quilt stuff sack goes in the bottom and more soft gear is placed against my back so the pack has a firm shape and really doesn’t need a frame. Since I take an air mattress as my sleeping pad, the practice of using a foam pad as a stiffening frame is not an options. In the spirit of “make your own gear” (MYOG), I did customize the pack a little. I added a sternum strap. With the sternum strap fastened, the load carries nicely on my torso. This probably works better for a male with bigger shoulders than for a smaller woman. I have a Back Country Access winter pack with a roll top closure, similar to that used in dry bags. It provides quick opening and closing in bad weather. I liked the feature. So I omitted the draw string on the kit and installed a small side-release buckle and roll top closure instead. 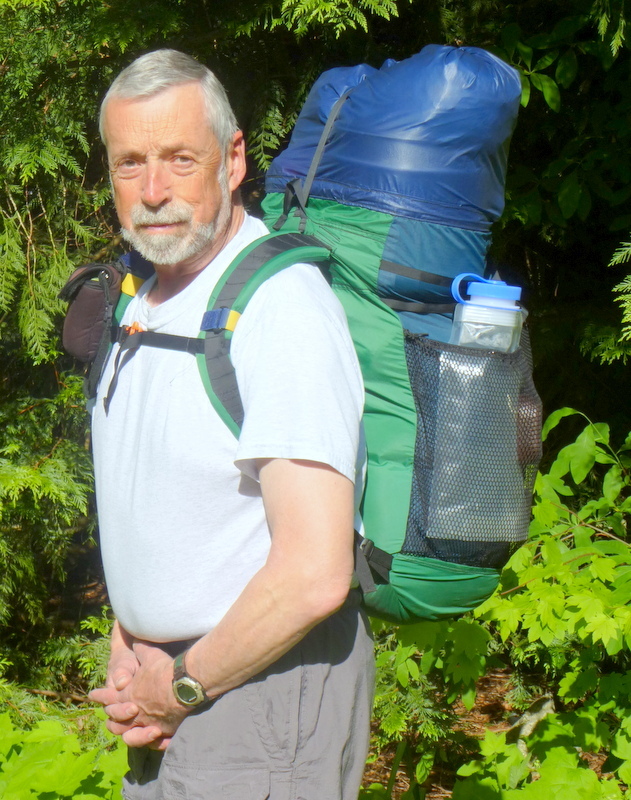 Ray Jardine notes that Jenny added a zipped back pocket to his pack. Since my pack does not have a top flap pocket, I also wanted someplace to keep assorted items for quick retrieval. So now my pack has a pocket with a waterproof zipper. It gets good use. My 4 oz. sil-nylon pack cover fits, but I haven’t taken it along on many outings. Most items get packed in sil-nylon stuff sacks, or are rain tolerant. My quilt lives in a plastic trash bag, inside a sil-nylon stuff sack. So even if the pack leaks a little, it’s not a big deal. Many ultra-light packs are designed like this one with just a top opening, no flap pocket and mesh pockets on the sides and back. This arrangement is fine for trail hiking. If you are bushwhacking, the mesh pockets catch on things. You might consider a smooth sided pack for heavy off trail work. This entry was posted in MYOG, Packs and tagged Ray Jardine, sil-nylon. Bookmark the permalink. I started this Blog to share my solutions to lighter weight backpacking and to join the online ultralight discussion. 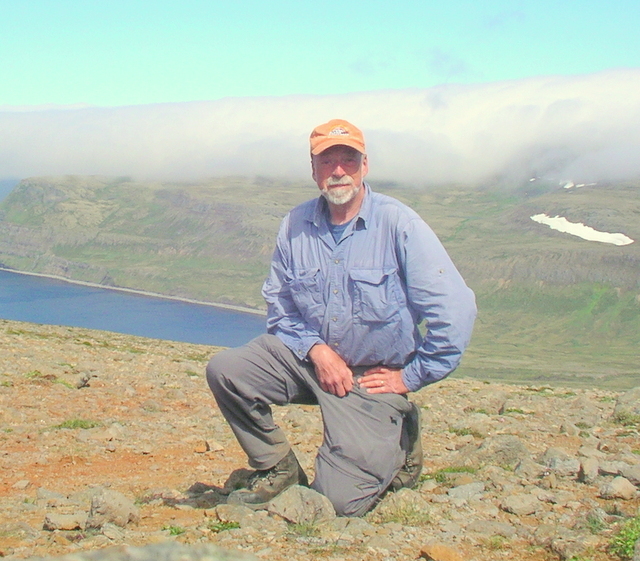 I have traveled outdoors by foot, kayak or canoe for a lot of decades and in a lot of places. Gear has evolved and I find that I can comfortably pack with weights I could not have imagined years ago. A lot of my solutions involve MYOG projects or customizations. I hike mostly in the 3 season, mountain environment of western Washington State and try for a “comfort light” base weight of about 15 lbs. If you are a new visitor to this site or new to the subject matter, check the Table of Contents tab above for early posts covering the basics of comfort light packing. A comfort light trip and a bright idea.